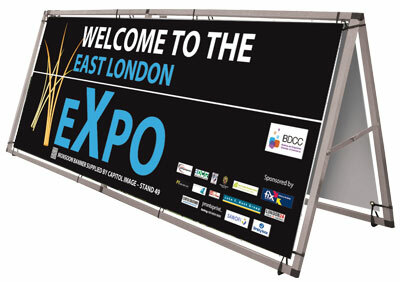 For promotions in the wide open spaces this practical banner frame is unbeatable for its simplicity and value for money. Constructed from lightweight aluminium it’s quick and easy to assemble and ideal for use on grass where it can be fixed to the ground with guide pegs. Capitol Image's collection of outdoor and indoor promotion units are weatherproof, robust and simple to use. Moulded bases can be filled with either water or sand, making them especially suitable for outdoor use. All the outdoor products are designed to withstand a moderate breeze. 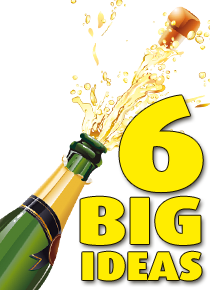 CLICK ON THE CORK NOW! Capitol Image's outdoor graphics are printed using latex inks to provide a long life without sacrificing colour intensity or quality. Outdoor graphics are printed onto tear-resistant materials that will not fray or break easily. All the outdoor banner display stands are lightweight, easily transported and held in position with water, sand or metal weighting devices. Capitol Image's outdoor advertising display systems are provided ready to use, simply unpack, assemble and secure in place. © Capitol Imagesetters Ltd - Exhibition stands, promotional displays and retail graphics. | All rights reserved.